The roof over your head plays important roles and protect your properties from various elements. 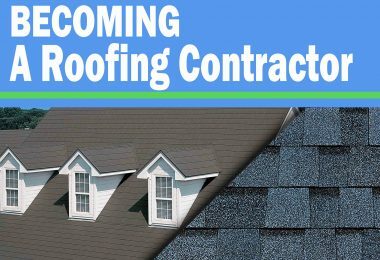 In our previous article, we talked about knowing some essential term of the roofing system. However, we don’t talk about the roofing underlayment which you might not know anything about. Roofing underlayment does a lot of work as part of the roofing system every day. 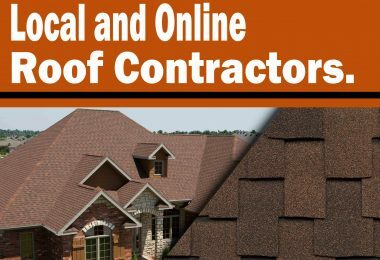 In this content, you will be learning all what roofing underlayment does and why you need it. As the name sounds, “Underlay” – Roofing underlayment is the added layer that is applied under all other roofing materials to protect the interior of the home from a various climatic condition. This types of layers include the waterproof or water-resistant barrier material installed on your roof deck directly. We have three important kinds of roofing underlayment which are the Rubberized asphalt underlayment, asphalt-saturated felt, and non-bitumen synthetic underlayment (Commonly called “Synthetic underlayment). Some underlayment is waterproof while others are water-resistant. However, let us look into these types of roofing underlayment one after the other. This waterproof underlayment is costlier than other types of roofing underlayment because it has higher percentages of rubber polymers and asphalt which makes it useful waterproof. 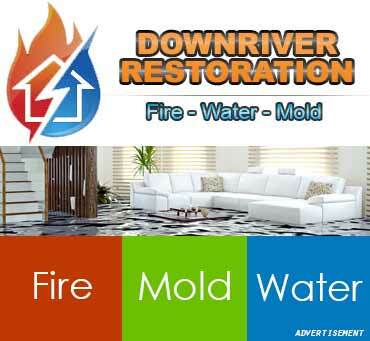 Rubberized underlayment usually has a sticky back and a protective membrane which is removed before installation. The special backing makes the waterproof seal between the clean roof deck and underlayment. Waterproof at the attics of the roof is helpful in most winter regions. The underlayment protects the roof deck’s edges from water damage. It is recommended to add this type of roof underlayment at valleys and round the roof protrusions to prevent leakage as these spots are vulnerable to leaks. Non-bitumen synthetic underlayment is made to be applied across the whole roof deck and at times used with waterproof products. Professional roofing contractors mostly use this type of water-resistant underlayment. Having fiberglass gives non-bitumen synthetic underlayment a superior tear resistance and stability. Some products of synthetic underlayment have scrim reinforcement to resist slip even when wet. Many years ago, asphalt-saturated felt was the result that roofing contractors fall to when it comes to roofing underlayment before people started to know synthetic underlayment. This water-resistant underlayment also knew as “tar paper” or felt paper” is made of polyester, various blends of cellulose (natural plant fibers), asphalt or bitumen. Tar paper is also made for application over the whole roof deck. Waterproof products can be used depending on the climatic condition of your area. 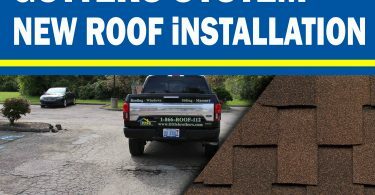 Water-resistant roofing underlayment protects the roof during and after installation; it is enough for the surfaces of the most roofing system. A quality water-resistant product can survive under any harsh weather even without the added shingles. Waterproof roofing underlayment cannot be used in every region. 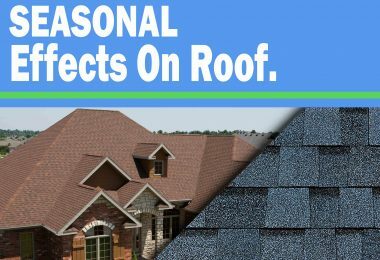 They are mostly recommended for roofs in areas that are prone to ice damaging or high winds, and the should be used at valleys, surfaces of low-slope roofs, eaves, and protrusion like vent pipes, skylights, chimneys, etc. 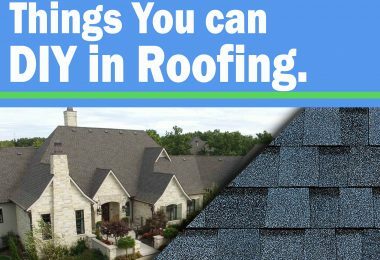 A new roofing system is an essential investment for every homeowner, and the longevity of the system shouldn’t be overlooked. 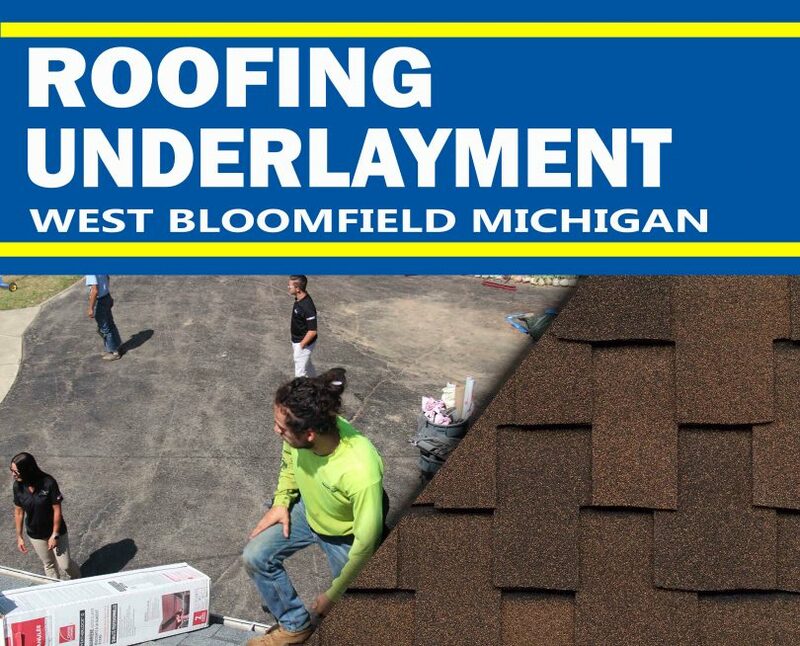 Underlayment is a moisture barrier that gives the roof additional protection which an ordinary shingles installation West Bloomfield Michigan cannot provide. Shingles are the first line of defense, and they serve their purpose of reflecting the sun’s rays, resist precipitation, and prevent wind from destruction. However, underlayment is good because it does what shingle can’t do. When shingle overlap and cannot be sealed at every corner, underlayment does the work. Shingles can be lifted by strong wind when it’s not sealed which makes them prone to infiltration or tear-off by the wind. Moreover, your shingles can be cooked by the heat of an unventilated attic. 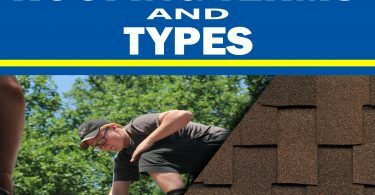 Do you know these Essential Roofing Terms and Types?